How much sun comes through a pergola versus a porch roof? The famous question….how much sun protection will a pergola provide? What are the advantages of a pergola versus a porch roof? At Archadeck of Charlotte we get asked this question almost daily! The answer lies in how the pergola is constructed. For example, the closer you space your rafters and perlins, the more sun protection you will receive. This is not to say it will stop all of the sun, but then again, neither will a roof. If you think about it, the sun moves all day long and your roof and or pergola of course are stationery. At any given time, the sun may peak under the roof as well. What both the pergola and the roof provide are some protection. The primary difference comes when you have rain, then the roof is the better protection by a long shot. In the end, pergola’s can provide quite a bit of protection depending on how they are designed and the additional features you may choose to add to them. Talk to a professional who can guide you through the various options and prices! 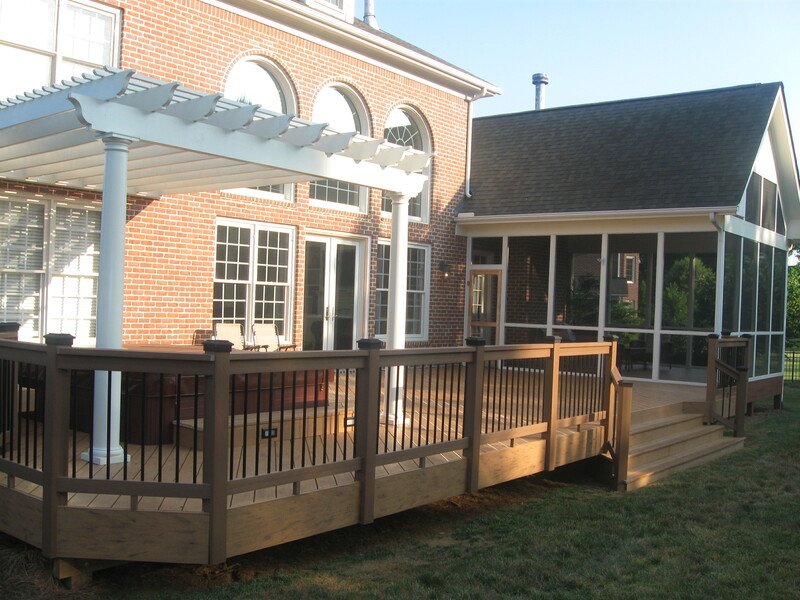 Like most outdoor living spaces, decks have gone through an evolutionary change. Gone are the days of square and rectangular decks. At a minimum, people want corners that are on a 45 degree cut. That’s just the beginning! 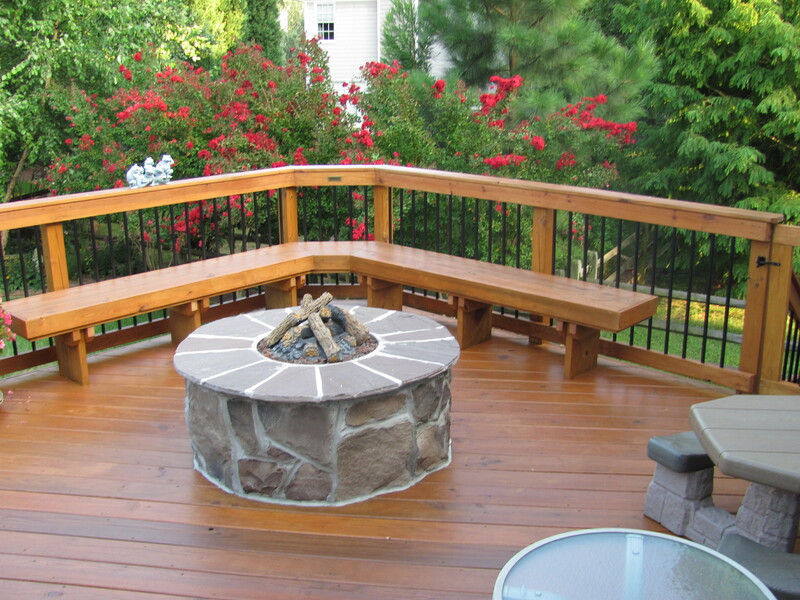 As people have moved from inside the home to outdoors, they want unique deck design features. At Archadeck of Charlotte, we began seeing this evolution about 7 years ago and it has accelerated. People are looking at multi-level decks as creating areas of interest, even if it’s just one-step down or elevated. There are wonderful spaces being designed into the deck that create family or small group gatherings with comfortable benches and furniture. Deck boards are being installed in multiple directions to create more visual interest. Deck boards are being installed as a picture frame around the entire deck and stained in a different color much like a beautiful photograph. 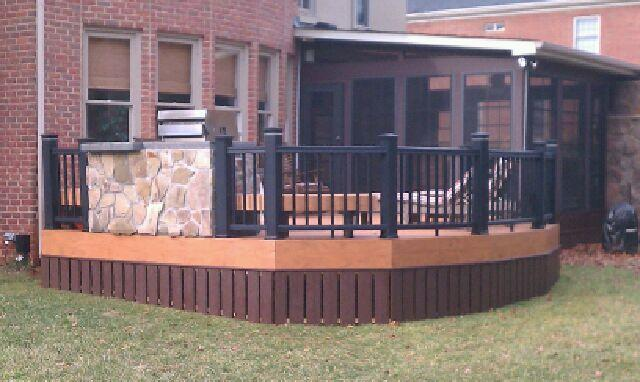 Trex, the leading manufacturer of composite decking sends out wonderful design ideas from their multitude of professional installers that is a frequent reference guide.We are seeing outdoor fireplaces being installed on and next to decks, fire pits, outdoor kitchens, and even Green Eggs in built-ins. 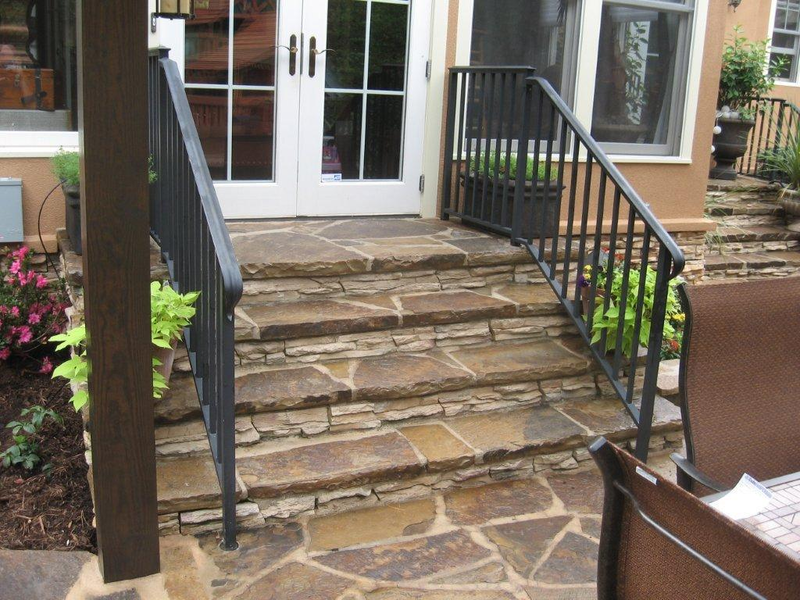 A very common question we get is “what haven’t I thought of for my porch/ patio? Can you give me some additional ideas of trends whether they are functional or simply aesthetic value? 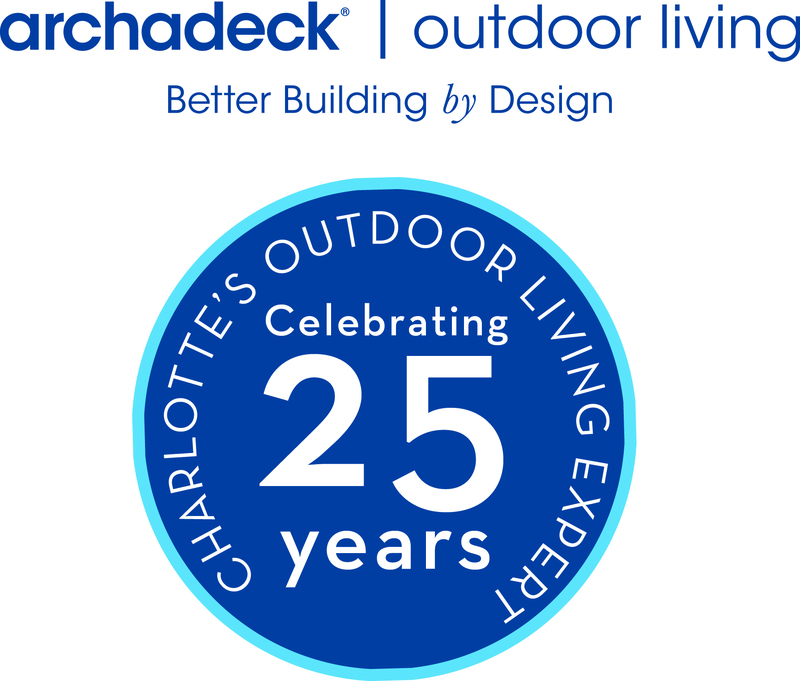 Archadeck of Charlotte designs and builds outdoor living spaces in the Carolinas and has done so for over the past 25 years. 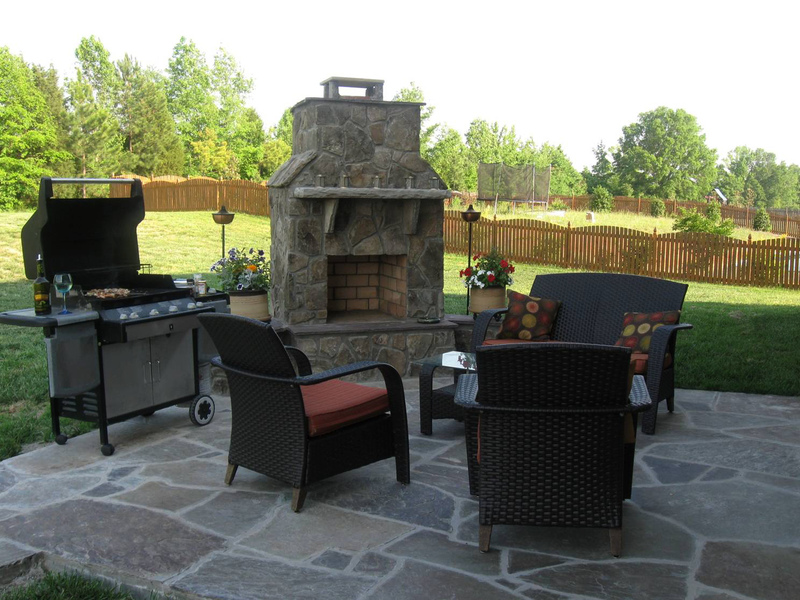 There are several newer trends and ideas we can share for your outdoor space. Water features are a very hot trend right now. You can do something simple like a small waterfall that has a soothing noise and adds beauty or design and build a pond with a waterfall. 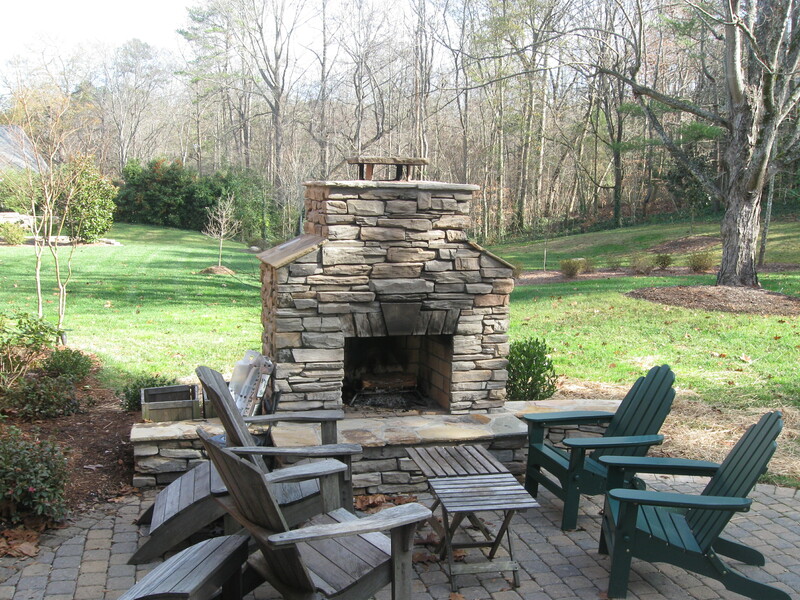 Fire features to extend your outdoor living to year around include fire pits and fire places. 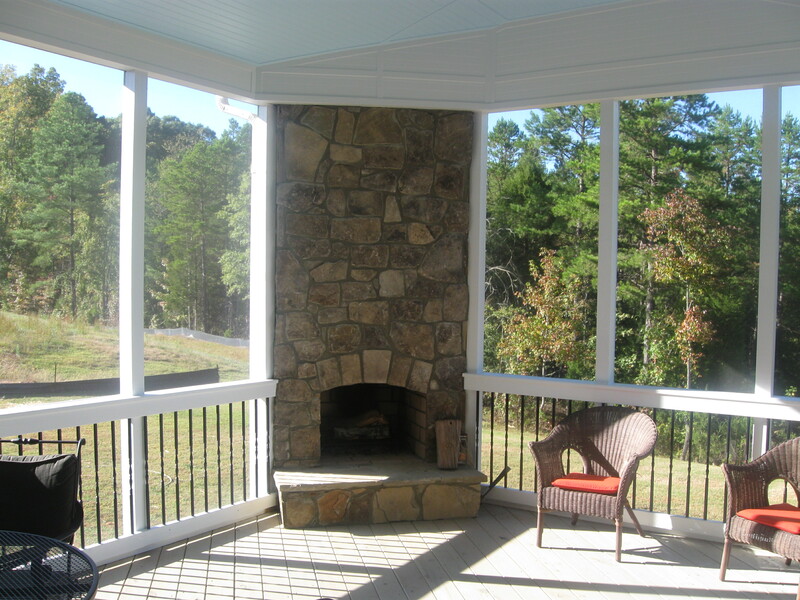 We design them incorporated with structures like covered patios and porches or free standing on patios and decks. Outdoor lighting is the perfect accent for evening functionality, safety and ambiance. 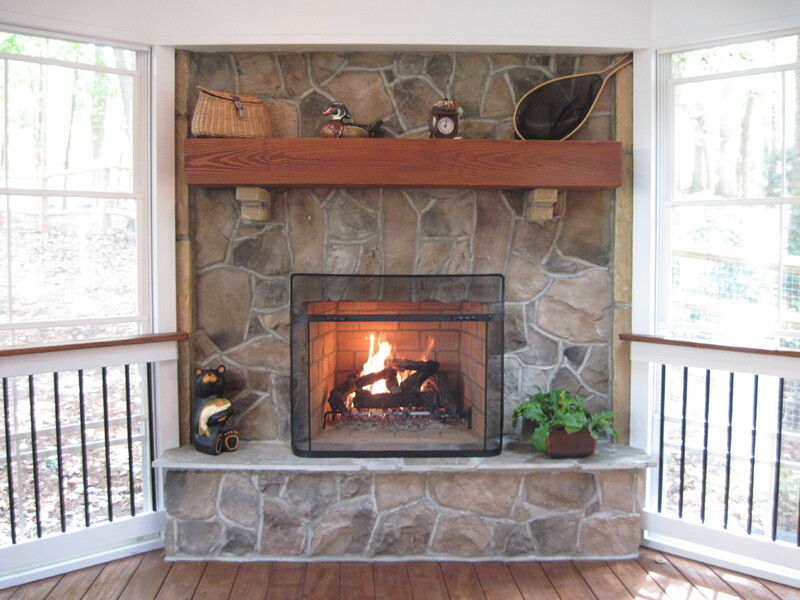 Outdoor heaters can be very effective again on a covered porch or open patio. 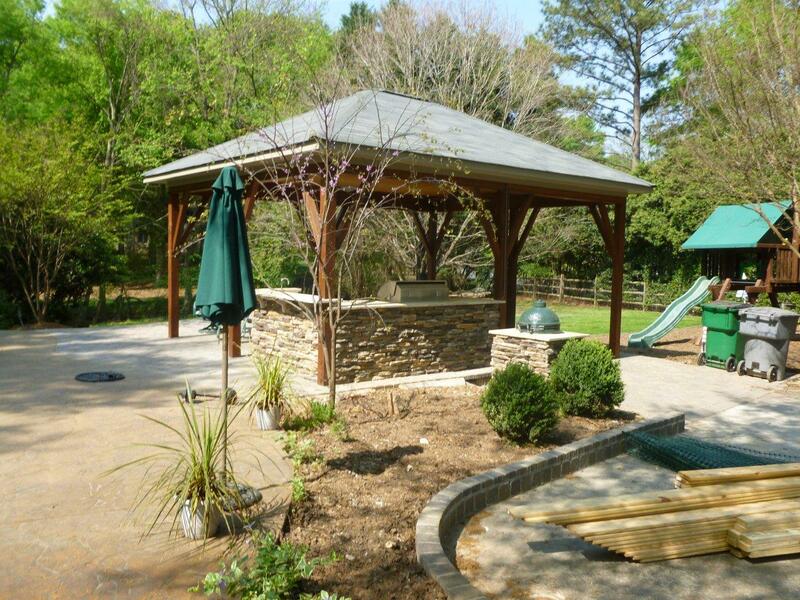 Shade structures are a must in the Carolina’s as the hot sun can make it uncomfortable without them! 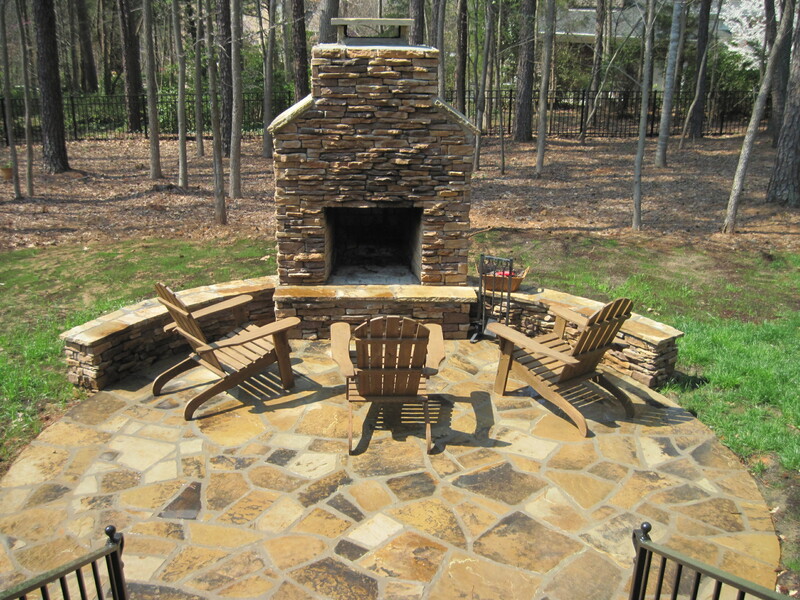 Want to see the best design ideas and photo gallery for patio designs in North Carolina and South Carolina? We have the most extensive patio photo gallery and even a video gallery on You Tube that can give you great ideas on what you can do with your outdoor living space. 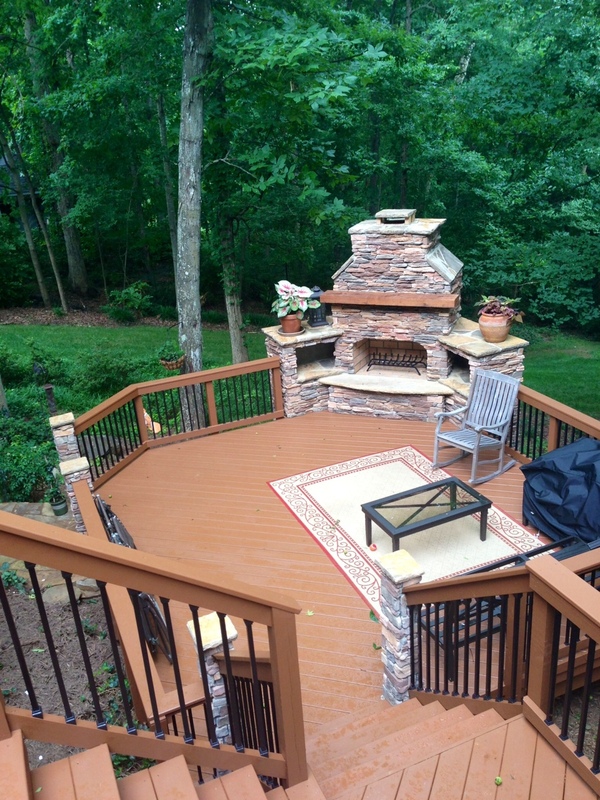 Archadeck of Charlotte has been designing and building outdoor spaces for over 25 years and has chronicled many of their best designs in their photo gallery and on You Tube. You can find unusual materials, designs around various elevations, and even combinations of fire features and water features! You don’t have to look any further than the links below!